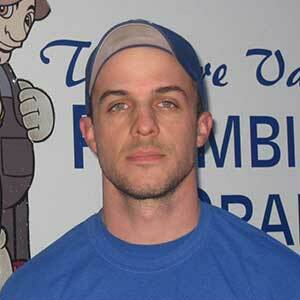 In April 2014, Treasure Valley Plumbing and Drain Cleaning hired William Roland as one of their Plumbing Apprentices. He was working as a Sheriff Deputy in Weiser and was looking for a change. He already had two years of Apprentice Plumbing under his belt. He lives in Payette, Idaho, with his wife Jennifer and their two children. We are proud to have Will as part of our fantastic team of plumbers.